It was the summer of 2005 when I realized that my hip was hopelessly screwed up. In fact it was not the hip but rather it was the SI. Same thing. After weeks of PT, the therapist realized that riding the bike was the single thing that helped the SI the most. In January of 2006 I bought the bike. 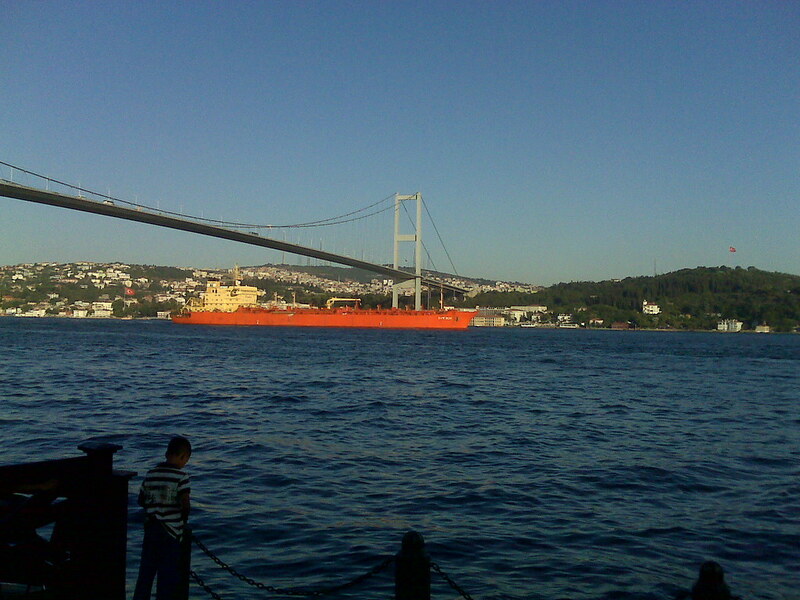 I had also been swimming. 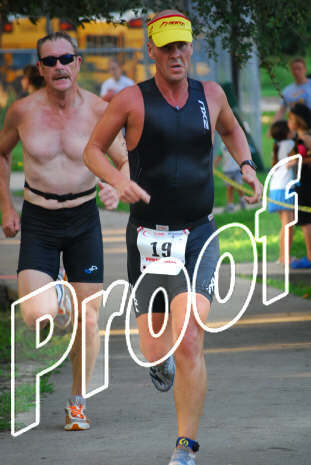 And so two years ago, Terry finally convinced me to enter a Triathlon, The Tri Rock. And the rest is history. However, I did not do the Tri Rock last year because my knee was totally screwed up. Sometime after the first Tri Rock I tore the meniscus in that dang knee. I limped around on it for a year and then at the Texas Masters I really aggravated it. I have come a long way in the sport of sprint triathlon since that first one two years ago. 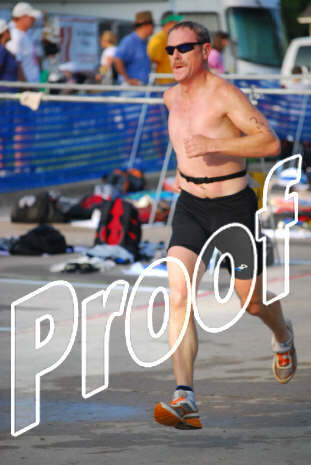 But that said, I also have not done a Tri since the Tri McKinney in April. My training has been chaotic given my travel schedule this month. I was unsure as to what to expect today. I started 25th in the pool. I was in good shape for the first 200. By then the guy in behind me had caught up, but he would not pass. I gave him several opportunities but he would not go for it. And that slowed me down. I guess that I just need to ignore the other swimmers. My swim time was 4:17 for 300 yards, which was good for 22cd position in the swim. I was solid on the bike. It was a really hilly course. I stayed on the gas the whole time and did a great job on the hills. My time was 40:02 (33rd), which was not exceptional but not bad either. But it pisses me off that Victoria killed me on the bike - about a minute and a half faster. It was hot during the run. I ran hard posting a time of 18:19 (8th overall) in the run. Terry was right behind me the run standings with the 9th best run time. Victoria had started the race 20 seconds in front of me, and I nearly caught her at the finish line (three seconds behind!). I caught this guy right at the line. My total time was 64 minutes, 15th overall. More importantly I won the Master's competition - which is a first for me in Triathlon! That said, I am not completely satisfied with the race, and I am sure that I can do better in all three disciplines. I managed a 52 minute run. Almost as soon as I stepped outside, the rain slowed to a drizzle. That said, it was hardly inspirational. I think that all the travel is catching up. Last night and this morning I was toying with the idea of riding the trainer today at the gym since I was not able to ride the bike this weekend. The alternative is to do a 60 minute run outside. I hate riding the trainer. It turns out that Polar now has a repair center in Dallas. I took the dead 610 down there to see if there was any hope. Meanwhile I had checked Ebay for any deals. Sure enough there is a cat selling new 610s for $99 plus shipping. The repair guy at Polar confirmed the death of my unit suggesting that the board to replace in the watch would be around $100. Polar would upgrade my unit to the RS400 for $188. I consulted with my shopping advisor, Miss Reagan, who directed me to go with the older unit from Ebay. My trusty Polar S610i has bit the big one. This watch has been my trusty running and biking companion for many, many years. So this is really sad. Today all it can muster on its display is: "MEMORY FAILEd". That's it and all she wrote. One positive side effect of this is for the short term, I can't save my workouts on the watch while delaying the reporting here on the blog. I'll need to keep up with my log, otherwise I'll forget what I actually did! I had more swim this month than last July, or this June. The bike was way dlown due primarily to Marissa having two soccer tournaments with her new team. Did I mention, that I took over as the manager of this team? Well I did, and this is one consequence. Of course the highlight of this July was the 2:16 800, which is my fastest since 2002. And unlike last July, I won't need surgury on the knee! July was a perfect month. I have not missed a workout since March 29. I have missed three days total for the year.